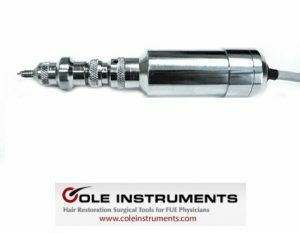 Many of the renowned hair surgeons worldwide uses and swear now on instruments from Dr. Cole and his company Cole Instruments. 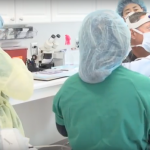 The company of Dr. John Peter Cole – co-founder of our Hair Transplant Trainingcenter – “Cole Instruments” is a leader in the supply of surgical tools and supplies tailored to Follicular Unit Extraction or “FUE” hair transplants. 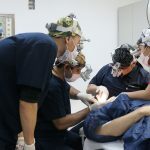 All of the products offered from cole instruments were developed by the internationally known hair transplant surgeon, John P Cole specifically to optimize procedure results and patient satisfaction. The goal of reducing damage during the extraction of hair groups called “follicular units” was the subject of Dr. Cole’s research and development of these products. Cole instruments is proud to present the embodiment of this research in cutting edge products for the hair transplant doctor. 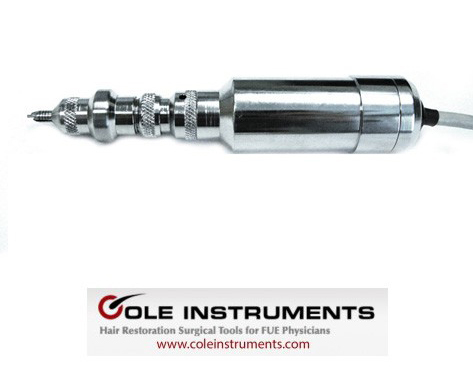 Whether manual or power driven follicular unit extraction, Cole instruments offers the punch for the patient’s needs. All punches expedite the hair extraction as well as transplant and greatly decrease hair unit damage. 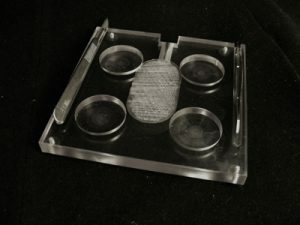 Punches range from .85 to 1.30 millimeters in size and facilitate the “Cole Isolation Technique” of minimal depth penetration to tailor each procedure for a more efficient and comfortable surgery. Other Cole instruments products include a Counting Incision Device to accurately and easily count the number of incisions in the recipient transplant region. 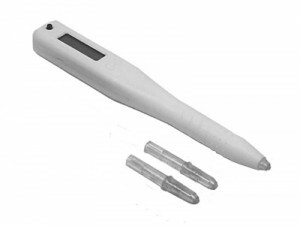 The device features a highly visible LED display, variable blade acceptance and audible hair unit count. This promotes accuracy and saves on staff time compared to manual counting. Cole instruments has also developed efficient Graft Processing Boards, with. The Graft boards have available back lighting, external lighting or both for exceptional ease of viewing during the procedure that minimizes graft injury. A device which is developed from Dr. John Peter Cole special for fue hair surgeons to help the physicians to extract the grafts more easy, safer and faster, is the automated, motorized and robotic fue extraction device PCID or so called „Powered Cole Isolation Device“. 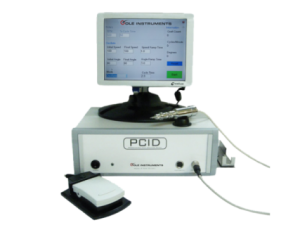 Read more about the PCID from Coleinstruments. 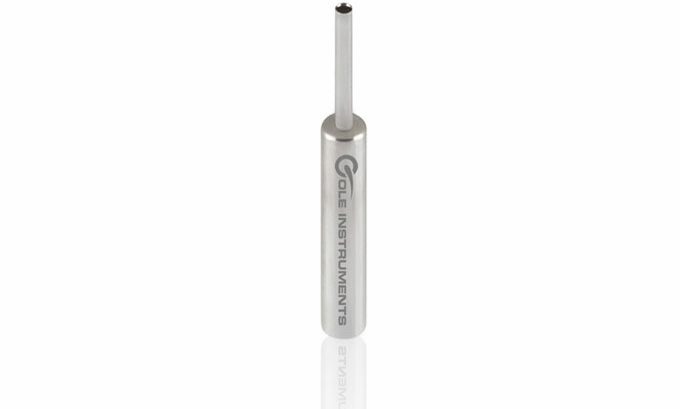 See all of Cole instruments advanced and specially designed surgical tools and supplies for not only greater physician efficiency but maximum patient satisfaction.